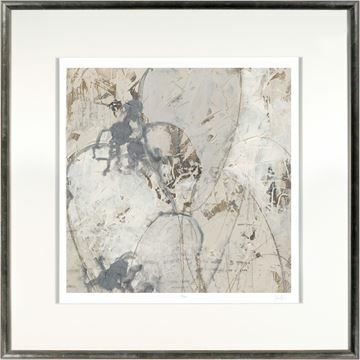 June Erica Vess paints a study of mark making and texture. 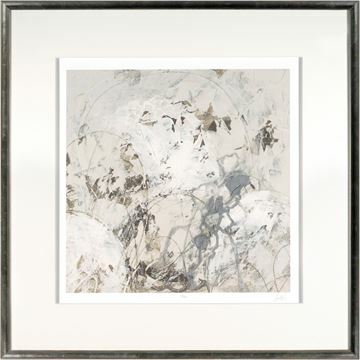 June Erica Vess paints a study of mark making and texture in these clever, loose, little abstracts. 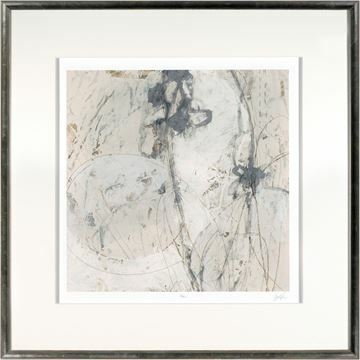 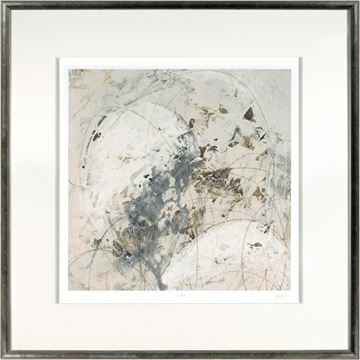 Each is signed and numbered and set in a sophisticated raised double matte and distressed silver frame to create a perfect air of sophistication.